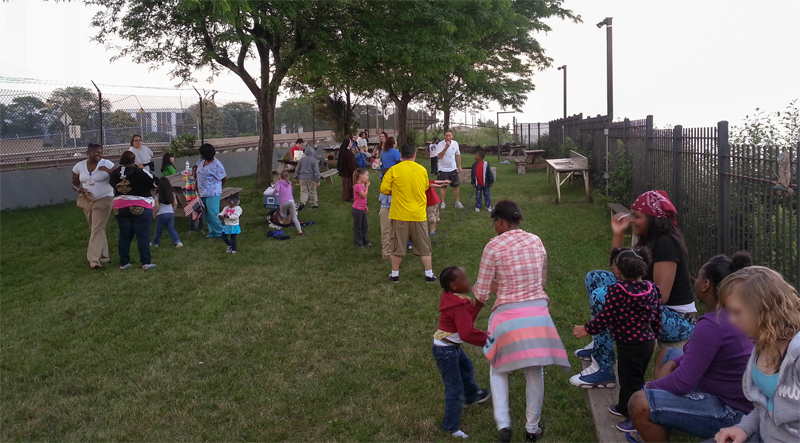 Children from St. Joseph’s Carmelite Home in East Chicago enjoyed an evening of games and snacks before watching the spectacular fireworks show at the East Chicago Marina taking place July 3, 2014. 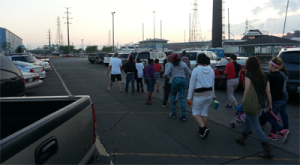 The children were the guests of the Indiana Sailing Association, in cooperation with the Indiana Harbor Yacht Club, East Chicago Marina, and the Foundations of East Chicago. The evening began with a variety of interactive games in the fenced, grassy picnic area provided by the Indiana Harbor Yacht Club. Older children had the opportunity to tour the marina, view a brief presentation of the Lake County Sheriff Marine Unit, and tour some of the sailboats maintained by the Indiana Sailing Association and used for youth sail training.